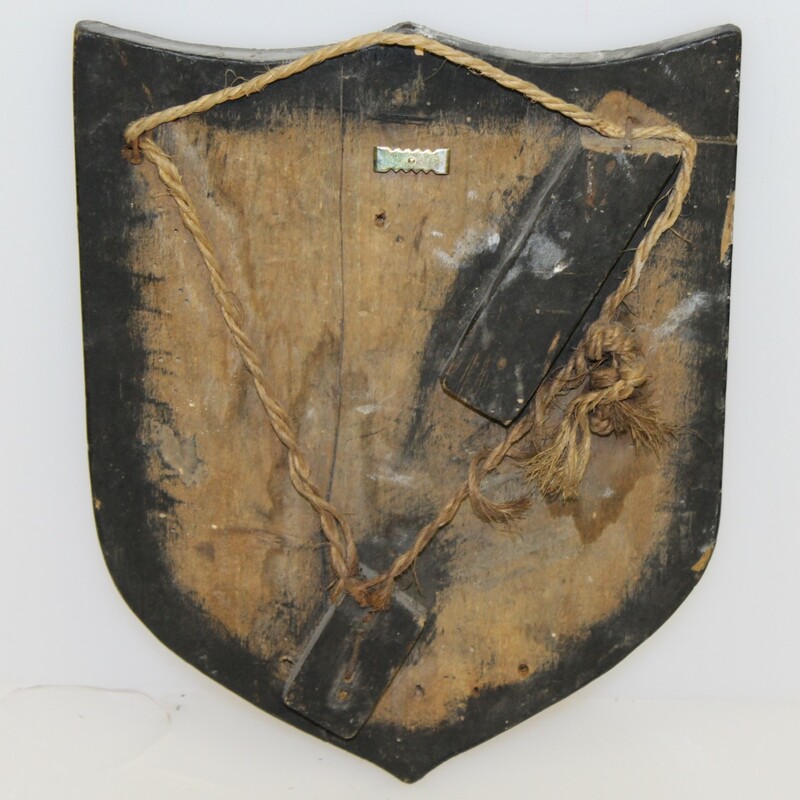 Vintage wooden crest. 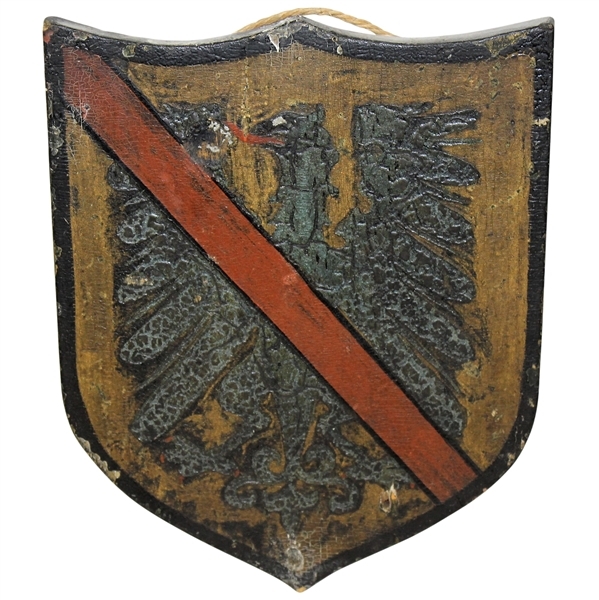 Crest's, or Coat of Arms, were common among knights during the 12th century and were unique to the individual. They have since grown to represent clans or families. 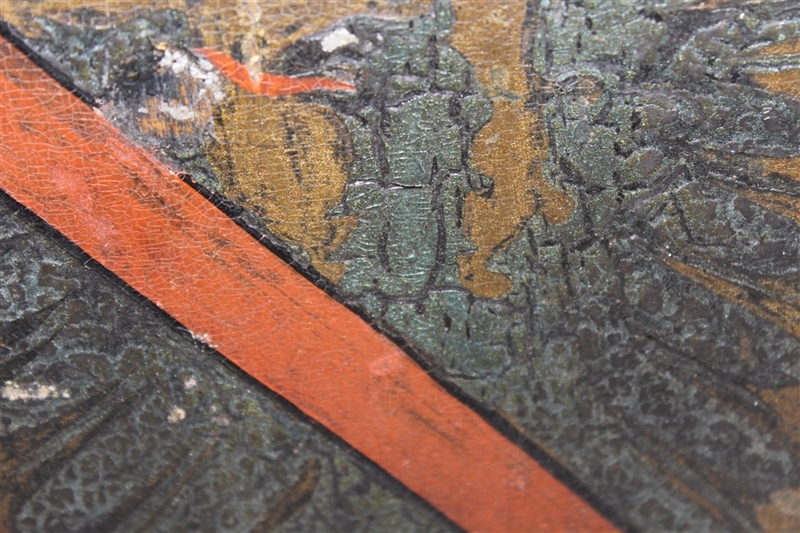 The different symbols and colors on a crest reveal a story. The crest in this lot contains an eagle which symbolized perspicacity, courage, strength and immortality, but is also considered "king of the skies" and messenger of the highest gods. The red diagonal stripe represents strength and the gold background represents generosity and elevation of the mind. The crest stands 8" x 10".